There are woodworking apps that will calculate your board feet, calculate your square feet, maybe even calculate your smelly feet. The TiVo app on my iPhone allows me to watch building shows, woodworking shows, the news, whatever is recorded on any one of our three TiVos while I’m doing mindless things, like sanding. Having your mind engaged with mentally-stimulating content can help your focus when a task is otherwise not especially capturing your mind. It’s even easy to listen to music using the TiVo app. Just record an hour, or two, or six of your favorite music channel. Almost every cable lineup has one, and you’ll find everything ranging from music your parents like to tunes that make you cringe, knowing your kids listen to that. Just record the desired length of the desired genre, then listen while you’re working. Run into a song you can’t stand? Fast forward. That old favorite you can’t get enough of? Hit rewind! And, you’re not stuck listening to the same music over and over: Delete the recording when your session is over and program another block to record while you sleep. 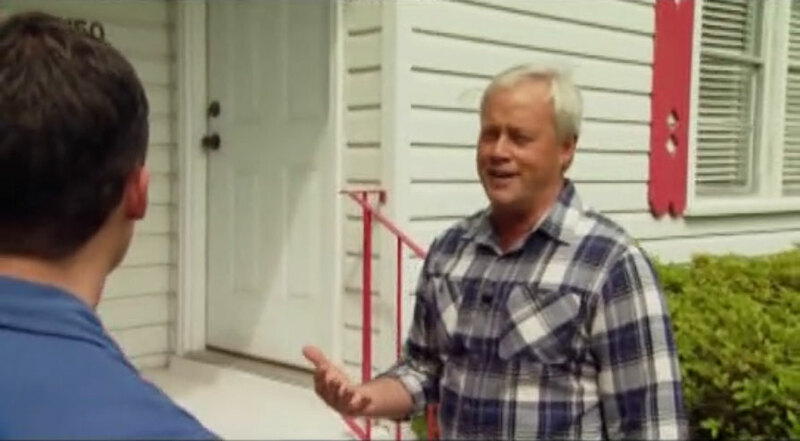 For me, Today’s Homeowner with Danny Lipford, The This Old House Hour, Ask This Old House, and The Woodwright’s Shop with Roy Underhill are all shows I love to watch. Recorded in advance, originally for when the weather takes me off the street for my morning walk and puts me on the treadmill, I will often have several dozen episodes waiting to be viewed. Danny Lipford is shown in this screenshot preparing to turn a 50s-vintage home into a market-ready product. My favorite part of the show? Simple Solutions with Joe Truini. Network news is something I watch every day. I’ve watched documentaries, comedies, movies, you name it. Common sense says you don’t watch a screen when you’re doing something that requires your full attention. However, I’ve never sanded through to my bench while watching the TiVo app!